If your property falls under the City of Cape Town municipal area, you will need to have a plumbing certificate of compliance. The reason for the water certificate of compliance is to limit water wastage and protect buyers from high water bills should there be any leaks on the property. 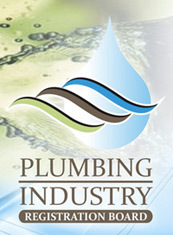 The Certificate of Compliance covers the water meter inspection, the correct installation of geysers and the correct discharge of storm water (which must not go into the sewerage system) IT also ensure that the portable water supply is completely separate from any grey water or ground water systems. Feel free to read the City’s Water By Laws which came into effect in 2010. You will need the Water Installation Certificate of Compliance before transfer can take place. There is no actual law that is required for this certificate of compliance to be done. The Beetle Certificate of Compliance has become standard practise and is often a condition written into the offer to purchase in coastal areas, although it isn’t required for Sectional Title properties or where the property is located in land where beetle and woodborer problems are less common. Many banks and insurance companies will require a beetle certificate of compliance when a property is transferred to a new owner. If your home has fitted gas applicancs, you will need a Gas Certificate of Compliance in order to comply with the Pressure Equipment Regulations of the Occupational Health and Safety Amendment Act which came into effect on 1 October 2009. The Gas Certificate of Compliance is valid for 5 years. It is always important to have all your ducks in a row when selling your house. Getting these Certificates of Compliance in order before putting your home on the market will make the transfer process go a lot more smoothly and speed the transaction up. If you require any of the above mentioned certificates, please contact 24Seven Plumbing and 24Seven Electrical today.